10 Tips for Zero-Waste Travel #AtoZChallenge - A Rose Is A Rose Is A Rose! Travel is full of disposable products and often generates a lot of waste. During our travels we are tossing away a lot of single use plastics, coffee cups, stickers, tickets, receipts, mineral water bottles, headphones, individual use products and so on. All these will probably get buried in a landfill some place where it will last forever, contaminating the environment around it. 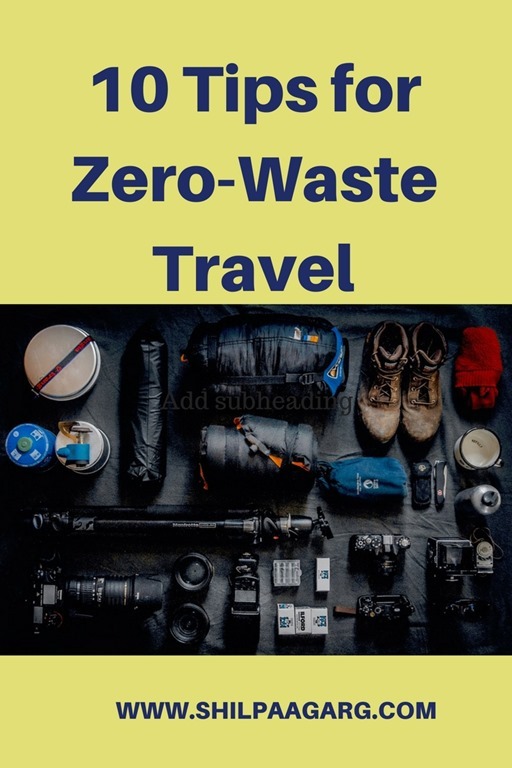 Is it possible to be a zero waste traveler? Yes, it is. Yes, we can reduce our impact on the environment by cutting down the consumption and reliability on single use plastics and other things that are not eco-friendly. We can reduce the amount of trash generated on trips by packing a few important and versatile things. Here’s how we can minimize impact on the environment while traveling. Mobile Tickets : Download tickets and other travel documents on your smartphone instead of printing them. I have seen people carrying 3-4 pages for a single ticket which even has all the rules and regulations and even the trail booking mails. Say no to paper receipts, if you don’t need them, ask for ebills instead. Reusable Water Bottle: Refilling your own reusable travel water bottle with a filter will save on a LOT of single use plastic bottles as well as money. BYO Utensils : Carry a lightweight spoon/fork, or a bamboo utensil set so that you never have to use plastic disposables. Reusable Coffee Cup or Thermos: Use reusable cup or jar to buy takeaway drinks such as coffee or juice. Cloth Bag : A shopping cloth bag can be used multiple times and will save you from using plastic bags. You can use your backpack or a lightweight, foldable tote bag. Scarf and Handkerchief : A scarf can transform into so many different things, from a pillow to a stole to a mask to a warm fashion accessory. A handkerchief eliminates the need for tissues and can also be used as a napkin. BYO Amenities : Use your phone or tablet’s headphones to plug into any inflight entertainment so you don’t purchase or use their plastic disposables. Always carry your own pen, if you have a Montblanc, why not flaunt it! Carry soap and shampoo bars and say no to liquid soaps and shampoos in plastic bottles. Travel by Public Transport or Walk, Wherever Possible. The latter will do a world of good to your health too. Travel Differently. Be a eco-adventurer. Choose destinations that focus on conserving the local environment and historical heritage and make the most of your time there by volunteering. Recycle and Compost Everything. Use public recycling receptacles or ask a local where a recycling station is. What are your go-to tips for zero-waste travel? Please share in the comment box below. Congratulations on successfully completing the AtoZ Challenge. I agree with all the suggestions except using Mobile Tickets. This has happened to me before. Only when you are showing your cell phone to the TSA (Transportation Security Administration) agent, your cell phone will run out of battery or the tower or wifi will not be working. Great post. especially considering the times we are in, times when the environmental integrity of our planet is at stake. The tips you have given do not only help the environment but also help our pockets. Reusing some of these items and developing habits such as using public transport will save us some money in the long term. I know sometimes it can be hard. I mean imagine having to use a loaded bus in hot, humid weather when you can just use a taxi. However, we should all try to sacrifice when we can. Our future earth will thank us, as will our pockets. Perfect post to end this challenge Shilpa and what a brilliant series you have presented -Well done. Loved the ideas of ZW travel – my last trip was to Kochi and believe it or not, I adopted a few of these with ease. Kochi had water filling stations everywhere and I could use my flask for it all the time – so no mineral water bottle waste. Even at the homestay where I was staying I started requesting them to not to put bottles in my room as I would fill from their RO in the kitchen – it was a great feeling to not indulge in buying mineral water bottles . So true, we generate so much of waste. Its time we got smarter and adapted more eco friendly ways in our travel endeavours. This is such a great message and a great post. From my next trip onwards I will try to incorporate these points as much as I can. We try to minimise waste, and try to reduce our carbon footprints, whereever we can! Great post, lots of common-sense and practical suggestions. My Euro travel taught me how much waste travel generates. When we printed out our itinerary and other tickets, we had a huge bunch of papers with us. It felt like such a waste, but some places insisted on seeing the print-outs only! We need to go zero paper with travel, it would help so much! Walking to explore a place is also the best. Prague was a delight for us that way. I have loved each and every one of your posts this year, Shilpa. I have learnt so much about travel and so many tips that I cannot thank you enough. An extremely relevant post, as the last one of the series. Lot of interesting points. I felt quite guilty reading your list! Things I should do but don’t. I promise to be more considerate in future! That said, thank you so much for your thought proking series. Great suggestions. And they’re pretty common sense. What wise and helpful tips. Because traveling is the perfect opportunity to break our routines, really committing to be as waste-free as possible during a trip feels like such an approachable challenge. I’ve enjoyed your series Shilpa, and know I’ll be a better traveler because of it. Congratulations on a job well done. Jokes aside, BYO bottles and cloth bags etc. is such a good tip. Plus it’s easy to do. Great advice for every day wandering, too. I like the idea of bringing my own utensils. Thanks! Congratulations on completing yet another year of challenge, Shilpa!!! While I have moved to mobile tickets and do not use print-outs or paper, some of the other tips you have shared are definitely worth adapting. Especially, the reusable water bottle and cloth bags! Reusability and saying no to plastic is so much the need of the hour now! A fitting way to end the challenge, Shilpa! If everyone who reads this post adapts at least 2 tips , it would work towards helping the environment, and our conscience. What a treat it was, reading your posts. One of the best themes I’ve read this year! Great tips, Shilpa! One thing I always do when traveling is carry a reusable water bottle with me. But I’ve often found myself at the end of a trip with hundreds of plastic bags, so I’m going to add a thin, easily packable, reusable carry-all to the list. Wonderful tips Shilpa – each one of them and its so important to keep reminding each other about these things. 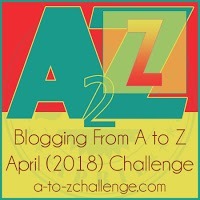 Oh and Congratulations on completing the A to Z – your theme was fabulous and I’ve loved reading your posts. Great tips shilpa ! I always take the print out for tickets due to my own fears and insecurity:) I like the image you posted = I think it sums up all. Thanks for sharing your valuable learnings, lessons, and extraordinary stories of travel. I feel better equipped to take the learnings and make the necessary arrangements. 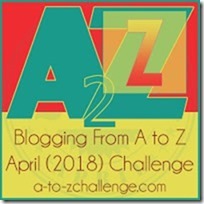 Congratulations for completing the A-Z challenge and for inspiring every day. Very important to uphold sustainable travel. These are good advice. We need a way to buy take away food without using styrofoam or plastic packaging, too. What practical tips! I like the idea of less waste in general, but am terrible about it when I travel. This is a good reminder that if it matters, then it matters every time. Congrats on finishing the A to Z! I have a lot of your posts to catch up with. This is an easy way to avoid paper waste if your airline offers you the ability to download your tickets via email PDF. Imagine the paper savings that can be achieved with regular use of e-tickets! This is an easy win that will set your adventure off on a low-waste foot! If you travel to California, you’ll need your cloth bags anyway – many places charge your for paper or plastic bags because of a new law. Excellent points here including many we can all actually incorporate including the bottle and our own utensils. Never considered that last one. Loved ur tips. Even I carry scarf with me everywhere!!! Indeed, I try to use cotton handkerchief’s only and ignore wipes. IF I need to use wet wipes, I go for organic ones with water content only. Thanks for this awareness. Glad that I read this post at least now, Shilpa. So many useful tips here. I’m going to share these with P as well. Its a good list..:) Really we spend money sometimes unnecessarily while traveling. These are wonderful tips and we should implement them would help us and environment. I will try my best to bring it to practise. I agree to travelling by foot whenever possible! Helps burning off the loads of food I indulge in!